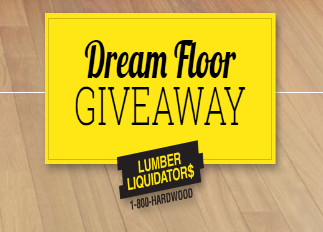 Lumber Liquidators Dream Floor Giveaway – Win $5,000 in flooring & more! 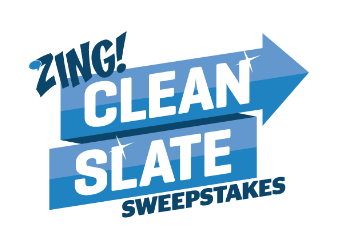 Win $5,000 in flooring and a $2,500 check! SWEEPSTAKES ENTRY PERIOD – Beginning at 9:00 a.m. Eastern Time (“ET”) on December 27, 2017 until 5:00 p.m. ET on February 16, 2018. PRIZES – There will be one (1) Grand Prize awarded in this Promotion.The Grand Prize Winner shall receive the following: (i) a gift certificate redeemable for $5,000 in flooring products from Lumber Liquidators, Inc.; and (ii) a check for $2,500 (collectively, the “Grand Prize”). Terms and conditions apply to store gift certificates; see front and back of gift certificate for terms. Sales taxes on the Grand Prize will apply in accordance with applicable laws. Approximate retail value (“ARV”) of the Grand Prize: $7,500. HGTV 2018 Dream Home Giveaway Sweepstakes – Win the 2018 HGTV Dream Home & more! Win the 2018 HGTV Dream Home in Gig Harbor, WA, a 2018 Honda Accord & $250,000 from Quicken Loans! ENTRY LIMIT – limit one (1) online entry, per valid email address, per eligible person per day per site. ELIGIBILITY – This Sweepstakes is open only to legal residents of the U.S. and its territories, possessions and commonwealths who are 21 years of age or older as of December 26, 2017. 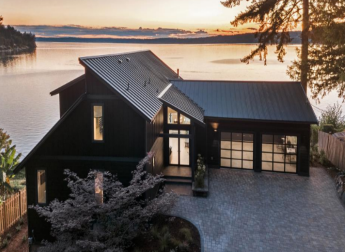 PRIZES – Grand Prize: One (1) Grand Prize Winner shall win the Grand Prize, which consists of: (i) the home located in Gig Harbor, WA (the “HGTV Dream Home 2018”) that is featured in the “HGTV Dream Home 2018” special (including home furnishings, fixtures, artwork, and merchandise) (approximate retail value (“ARV”): $1,592,481; (ii) Two Hundred and Fifty Thousand Dollars ($250,000) (awarded in the form of electronic funds transfer) courtesy of Quicken Loans (the “Cash Prize”). (iii) a 2018 Honda Accord automobile (MSRP: $33,870) (the “Honda Prize”). Actual value of HGTV Dream Home 2018 depends on market fluctuations. All components (as applicable) of the HGTV Dream Home 2018 will be selected by Sponsor at its sole discretion. In lieu of taking title to the HGTV Dream Home 2018 (and the contents of the HGTV Dream Home 2018), the Grand Prize Winner will have the option of receiving $750,000 in cash (the “Cash Option”). If Grand Prize Winner elects to take the Cash Option, the Grand Prize winner will still receive the Cash Prize and the Honda Prize. If the Grand Prize Winner cannot take possession of the HGTV Dream Home 2018 due to a force majeure event, failure of construction, or any other reason as determined by Sponsor in its sole discretion, Grand Prize Winner shall receive the Cash Option, Cash Prize and Honda Prize. Total ARV of Grand Prize is $1,876,351 if Grand Prize Winner takes title to the HGTV Dream Home 2018 or $1,033,870 if Grand Prize Winner selects the Cash Option in lieu. 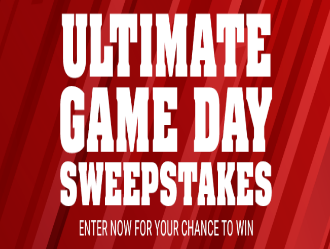 Schwan’s™ Ultimate Game Day Sweepstakes – Win a $250 Schwan’s gift card! Win a $250 Schwan’s gift card & more! 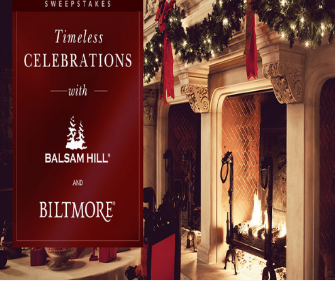 ENTER SWEEPSTAKES HERE – Schwan’s Sweepstakes page. ENTRY LIMIT – Limit of one (1) entry per person/email address. ELIGIBILITY – The Promotion is open only to legal residents of any of the 48 contiguous states of the United States or the District of Columbia 18 years or the age of majority for their respective state. SWEEPSTAKES ENTRY PERIOD – The Schwan’s™ Ultimate Game Day Sweepstakes begins at 12:00 a.m. Central Time (“CT”) on December 26, 2017 and ends at 11:59 p.m. CT on January 4, 2018. PRIZES – One (1) Grand Prize: $250 Schwan’s™ Gift Card; Game Day Food Package (valued at $98.90) (containing two Schwan’s® Rising Crust Ultimate Pepperoni Pizzas, one Schwan’s® Rising Crust Five-Cheese Pizza, one Schwan’s® Rising Crust Mega Meat Pizza, one Schwan’s® Guacamole, one Schwan’s® Breaded Mozzarella Sticks, one Schwan’s® Cheddar and Bacon Potato Skins, one Schwan’s® Italian-Style Meatballs, one Schwan’s® Chicken Bites, and one Schwan’s® Chocolate Chip Cookie Dough); two 24 oz. Big Game Day Wrap Tumbler with Lid; and two Men’s Big Game Day Knit Hats. 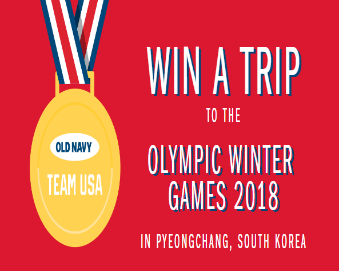 Team USA/Old Navy Pyeongchang Sweepstakes – Win a trip to the Winter Olympics in South Korea! Win a trip to the Winter Olympics in South Korea! ENTER SWEEPSTAKES HERE – Old Navy Sweepstakes page. ENTRY LIMIT – Maximum of one entry per person and per valid email address during the entire Registration Period. ELIGIBILITY – Sweepstakes is open only to individuals who are legal residents of, and physically located within, the fifty (50) United States and D.C., who are age 21 or older as of date of entry, and have a valid U.S. driver’s license or government issued photo ID. Must also have a valid passport to travel. SWEEPSTAKES ENTRY PERIOD – Registration begins at 12:00:01 am Eastern Time (“ET”) on 12/26/2017, and ends at 11:59:59 pm ET on 1/18/2018. PRIZES – Grand Prize – Maximum of one (1) grand prize award available: The Grand Prize consists of a trip for two (2) (winner and one guest, age 21 or older) to attend the 2018 Olympic Winter Games in Pyeongchang, South Korea, with scheduled travel dates of 2/15/2018 – 2/20/2018, based upon availability, and subject to change at Sponsor’s sole discretion. Approximate retail value of grand prize trip not to exceed $17,000. Winner and guest must each have valid U.S. Passports for travel which must expire a minimum of 6-months from the designated return date, and any other required travel documents (i.e. Visa). Possession of a valid passport and obtaining any required travel documents are the sole responsibility of winner and guest. 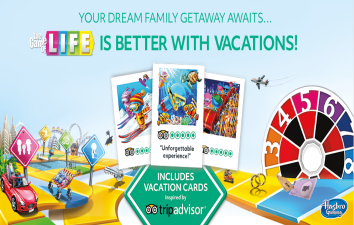 Trip Advisor Life is better with Vacations Sweepstakes – Win a $5,000 trip! ENTER SWEEPSTAKES HERE – Trip Advisor Sweepstakes page. ENTRY LIMIT – Limit one entry per person per calendar month during submission period. ELIGIBILITY – The Life is better with Vacations brought to you by TripAdvisor® (“Sweepstakes”) is open only to legal residents of the 50 U.S. states and the District of Columbia, 21 years of age or older (or the age of majority in your state whichever is older) at the time of entry. SWEEPSTAKES ENTRY PERIOD – Sweepstakes begins Friday, September 1, 2017 at 12:00:01 a.m. Eastern Time (“ET”) and ends Monday, January 15, 2018 at 11:59:59 p.m. ET. $5,000 Trip of Winner’s Choice on TripAdvisor. Travel reservations to be made through the designated representative selected by Sponsor. Travel may include air transportation and hotel accommodations. Once travel plans have been confirmed, no changes will be allowed. All travel must be booked within 90 days of prize award date. The total approximate retail value of this Prize package is $5,000. 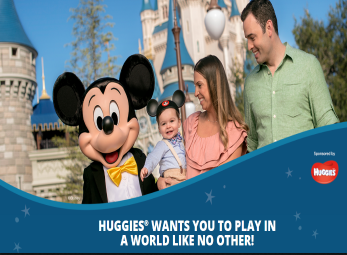 Huggies Magical Getaway Sweepstakes & IWG – Win a trip to Walt Disney World! Win a trip for 4 to Walt Disney World! ENTRY LIMIT – Limit: Each entrant may receive one (1) Sweepstakes entry and one (1) Instant Win Game play per day during the Promotion Period. South Carolina, Tennessee, Texas, Utah, Virginia, Washington, West Virginia, and Wyoming who are at least eighteen (18) years old at the time of entry. SWEEPSTAKES ENTRY PERIOD – The Promotion begins on December 10, 2017 at 12:00:00 a.m. Eastern Time (“ET”) and ends on February 28, 2018 at 11:59:59 p.m. ET. PRIZES – Sweepstakes Prize: ONE (1) GRAND PRIZE: A vacation for four (4) to The Walt Disney World® Resort. Vacation package includes round trip, coach-class air transportation for four (4) from a major airport near winner’s home (determined by Sponsor in its sole discretion) to Orlando International Airport; six (6) nights’ accommodations at a select Deluxe Resort hotel at the Walt Disney World® Resort determined by Sponsor in its sole discretion (single room, quad occupancy); four (4) 6-day Magic Your Way® Tickets with Park Hopper® Option; round trip ground transportation via Disney’s Magical Express® Service between Orlando International Airport and designated Walt Disney World® Resort hotel; and one (1) seven hundred dollar ($700) Disney Gift Card. Terms and conditions of gift cards apply. Winner must complete the vacation package by March 1, 2019 or prize will be forfeited. Vacation package must be booked at least thirty (30) days prior to departure. Approximate Retail Value (“ARV”): $11,500. Instant Win Game Prizes: THREE HUNDRED FIFTY (350) INSTANT WIN GAME PRIZES: A $25 Kroger gift card. ARV of each Instant Win Game Prize: $25. 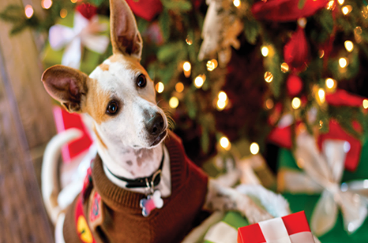 Petco 12 Days of Giveaway – Win a $250 Petco gift card! Win a $250 Petco gift card (12 winners)! ENTER SWEEPSTAKES HERE – Petco Sweepstakes page. ELIGIBILITY – Open only to legal residents of the 50 United States and the District of Columbia who are 18 years of age or older at time of entry. SWEEPSTAKES ENTRY PERIOD – The Petco “12 Days of Giveaway” begins at 12:00:01 am Pacific Time (“PT”) on December 12, 2017, and ends at 11:59:59 pm PT on December 24, 2017. PRIZES – (12) Prizes: a Petco gift card in the amount of $250. Gift cards are subject to the terms and conditions stated on the cards. 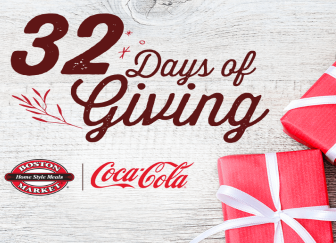 Boston Market 32 Days of Giving Instant Win Game – Win a pair of Delta Airlines vouchers and a $2,500 travel certificate! Win a pair of Delta Airlines vouchers and a $2,500 travel certificate! ENTRY LIMIT – Limit: 1 Instant Win Game play per person per day during the Promotion Period. ELIGIBILITY – Boston Market 32 Days of Giving (the “Instant Win Game”) is open only to legal residents of the 50 United States (of the District of Columbia) who are 18 years of age or older at the time of entry. SWEEPSTAKES ENTRY PERIOD – The Instant Win Game begins at 12:00 a.m. Eastern Time (“ET”), December 1, 2017 and ends at 11:59 p.m. ET, January 1, 2018. 7 FOURTH PRIZES: A $50 Amazon.com Gift Card+ and 4 movie ticket promo codes*, terms and conditions apply. ARV: $110. 12 FIFTH PRIZES: A $50 Boston Market gift card and 4 movie ticket promo codes*, terms and conditions apply. ARV: $110. 4 SEVENTH PRIZES: “Coke® Prize Pack” – A prize pack including a folding chair, a tote bag, a flannel blanket, a hooded sweatshirt, and an ornament, all prize details determined by Sponsor, in its sole discretion. ARV: $68. 4 EIGHTH PRIZES: “Winter Prize Pack” – A prize pack including a 20 oz. stainless steel tumbler, gloves, a tote bag, a hooded sweatshirt, and an ornament, all prize details determined by Sponsor, in its sole discretion. ARV: $47.